Welcome to Let's Talk Bigfoot! Paul Bartholomew will be coming back July 16th. Due to a mix up on the start time of the show we could not complete his interview on June 11th. 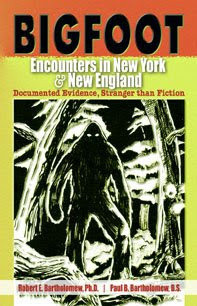 Below is an excerpt from his new book called Bigfoot Encounters in New York and New England. massive, measuring thirty inches in length. The New York State Police, was organized to search for the giant. Turner and Ernest Blanchard of Indian Lake, and the two trappers. Don't miss the rescheduled interview. Coming Wednesday night, July 16th, at 9 pm Central time, 10 pm Eastern. J. Robert Swain created this cartoon of the show and graciously gave me permission to use it. He and his 9 year old son, Jamie, listen to the show each week and we appreciate his loyalty and talent so much we wanted to post his cartoon here. Robert is quite an accomplished cartoonist and has many cartoons depicting sasquatch. We know he'll find an outlet for that enormous talent that we all will enjoy. If he puts a book of them together I hope to be the first in line to purchase it! Thank you Robert and Jamie for sharing this marvelous cartoon and for listening to our show each week! Who links to my blog? Welcome to my Let's Talk Bigfoot Blogspot site! 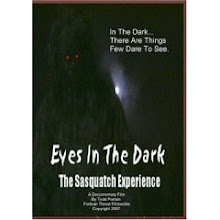 Hi, I'm Teresa Hall, host of Let's Talk Bigfoot on Talkshoe and welcome to my show! 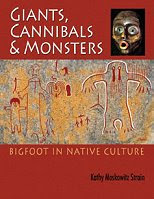 Let's Talk Bigfoot is produced by AIBR Board Members Kathy and Bob Strain and the show is located Talkshoe at www.letstalkbigfoot.com and is endorsed by the Alliance of Independent Bigfoot Researchers a great group of which I am proud to be a member. Register an Account or just come as a guest if you'd rather not register! Bipedalist from the Bigfoot Forums will be our guest. Strange State - Paranormal Mysteries In Oklahoma And Around The World. Get the Federal Hurricane Response Widget widget and many other great free widgets at Widgetbox! I've been remiss in identifying the artist involved in the banner. I cannot imagine anyone who would not recognize "The General" by Paul Willison "Nightwing" on the various forums. Paul is an accomplished artist as well as researcher and founding member of Sasquatch Research Initiative and Michigan Bigfoot.